I can hear you screaming (politely of course, woodland creature that you are) "I don't have anything to talk about in a newsletter!" A newsletter is NOT the same as a mailing list. A mailing list is just a list of addresses (to which you might send a newsletter when you have a lot of news.) But you can also use it to send short emails to fans. You need a way for people to tell you that they want to hear about what you get published. A LOT of you are being published in smaller, less well-known outlets. The equivalent of off-off-off Broadway. Well, how the HELL am I going to know about this unless you tell me??? If you post it on Twitter I have one chance in 3000 of seeing it. I'm lucky to see fifteen or twenty minutes of non-notification tweets in 24 hours. Unless you @ me, I'm more than likely NOT to see what you say. And how will you know to @ me? People who are don't see every post by every person they follow. Comment in a blog post here? Not a bad choice, and better than not saying anything BUT most of you can't post links to save your lives, AND if I don't click instantly, I'll forget about it. For starters, it's in my email, I'll see it. For seconds, I don't have to click instantly. I can come back to it when I have more than a minute. So, GET A MAILING LIST STARTED! 1. Sign up for a newsletter mailing service. I use Mail Chimp. There are lots of others. 2. 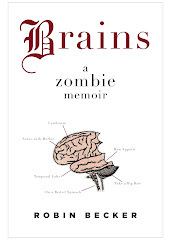 Put "sign up to hear about my next published story" with a link to your (MailChimp) account. Your mailing list platform should allow you to see the email addresses you collect. When you have news like a short story being pubbed in a small magazine, send a SHORT email to your fans. Thanks for signing up for my news updates! My short story Kale Proven To Cause Hiccups will be published in the GreenMenace. Notice: the email is VERY short. Yes, you're only going to have three people to start with. Guess what? I had to start with those same three people: me, myself, and Mum. If you're a regular reader and contributor to this blog, your fans are assembled. Just give us a place to tell you we want to hear from you. I can think of 23.75 blog readers I'd sign up to hear from. And the very best thing about just a few people to start with? 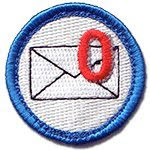 You only have to send a few emails when your next story is published in the BloodLust Sewing Circle Quarterly. Of course you have questions! Fire away! Ah yes, the bit I dread the most - the marketing stuff. However, this is easy enough, and I can easily get a couple of thousand folks signed up thanks to working for over a decade at a large school district. I will put it on my laundry list of things to get taken care of. Word of mouth, after all, is the best way to sell books and this seems the key to getting that word of mouth going. I hope. Ok, day job and back to fine finishes, query letters, and that awful, evil synopsis. I swear the synopsis was easier before I finished this book. What is that all about? This has surely got me thinking, though. I never considered creating a mailing list, since, as you said, I was of the mindset that "I have nothing to put in a newsletter!" But solid points made. Enough to convince me to create a mailing list. It may be super rarely used (though hopefully that changes! ), but it now exists. And includes, at present, only me. I've now added it to my blog. Which, also, includes only me as its audience. ah Steve, I'd sign up for your mailing list in a flash. and buy your first book. I'm not sure whether it's the same everywhere, but in the UK (and I'm guessing the rest of Europe too) Mailchimp requires you to provide a physical address before it'll let you send to subscribers. Anyone got any advice on this? I'm keen to build a mailing list, but less keen on broadcasting my location to everyone on it. This makes me feel so much better about never having got around to sending a newsletter to the 11 kind souls on my email list! Great advice again. Thanks for quelling that particular anxiety. I believe it was an old blog post here that referenced keeping a spreadsheet as an early/easy way to keep a mailing list, with a column containing about why the person is included. I have one and can't wait until the day I need it. And...another reason why to NOT eat kale. Bookmarking AND printing this post! Love this idea! I thought a mailing list was more for newsletters, something I'm not planning on doing soon, if at all. When I have new stories published, I usually just mention them on my blog - I'm not on Twitter or Facebook - in the "Recently Published" section on the sidebar. I have a web site/blog, to which people have signed up ... More than 3, but so far, fewer than 30. About of half of these have signed up to get e-mail notifications about new blog posts (rather than joining through a service like WordPress). I'm guessing that this is not the same as an e-mailing list? And that it would be a dirty trick to personally e-mail those who have signed up for blog updates? For anybody hesitating, Mailchimp is super easy to use. I have a mailing list. I send newsletters. I don’t use it effectively yet, BUT I have it. I used to send out a monthly newsletter from the sanctuary, but that was many, many years ago. There were several hundred recipients. Unfortunately, the herd grew to 74 when we were our most active with law enforcement and I simply didn't have time (or perhaps the energy/enthusiasm) to carry on. I'll look into revitalizing it. Thanks Janet. Oh, right, I used to have a mailing list. What did I do with it? Probably time for a refresh. Anyone interested in occasional emails about weirdo short animations? Well, I have been a good woodland creature and obeyed the shark, but wix is doing something wonky and not actually adding subscribers to the contact list (I tested it with one of my other emails). So, er... don't all rush to sign up at once because it probably won't work. YES. Marketing copywriter here. This is the first piece of advice I give to any writer who asks. And if you decide to do a newsletter, I recommend keeping two lists: one for your newsletter and the people who want to hear regularly from you and a second for those who just want to know when you publish something new. There's a nice little sub-group of readers who won't sign up for a regular newsletter but who do want to know when you publish something new (and buy your book or go pick up whatever publication you're in). Let's say one doesn't dabble in short stories or other writing that might be published on a more frequent basis than, say, a first novel. What other content do you—the Shark and anyone else—recommend as worthy of a mailing list? Guess this might be a good time to pimp the fact that I do have a mailing list... You can sign up on my blog, if you're interested. You won't get spammed constantly if you join. I tend to only send out a couple of newsletters a year. 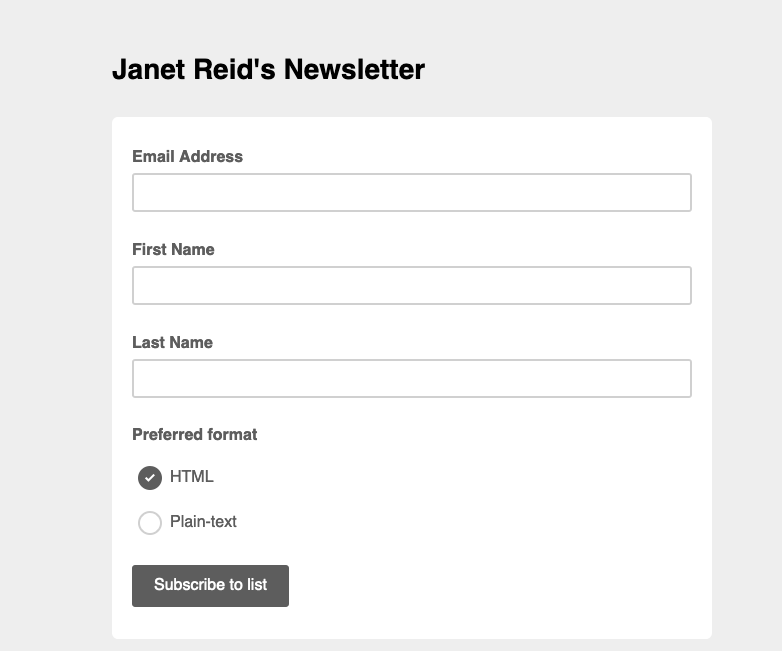 I like the idea of a quick message instead of a full newsletter now and then. I'm torn about using the name, though. When I get an obviously generic letter using my name (especially more than once) it feels a little like I'm dealing with a used-car salesman. Maybe it's just me. Do you all prefer an email that uses your name? And now I’m unable to delete previous comment. I hate being technologically deficient. Anyway, instead of a newsletter I’ve been toying with the idea of producing printable coloring pages with scenes from my book. But since the website isn’t up and running yet that may be a long way off. I always enjoy reading scenes that didn’t make it into the final book, so I might include some darlings. I’d be interested in hearing other people’s ideas for content. I'm a recent convert to the personal mailing list. I've discovered that taking printed index-size sign-up cards to my presentations has been more productive than my website option I keep it simple, a quick newsletter announcement, a line for their first name, email address, and a reminder that they can unsubscribe at any time "no questions asked, no dirty looks." I then use the cards I collect in a raffle. A few will immediately opt out when they receive my first message-- those are the people who merely wanted the chance to win a book. But presentations give an author a chance to be a person and start to develop that all elusive connection. I also have to admit, I don't often use names at the top of my messages. Some people only subscribe with an email address, and that just looks weird as a message greeting. Do you have to have a webpage? I have an ancient network that I send stuff to a few hundred of my closest friends and they send it on. If there was money in it, it could be considered a pyramid scheme. I still keep hoping that the social media things are just a fad, but I will do what my publisher says, when I get there. This subject gives me hives. I have a mail Chimp Account, I haven't sent anything for at least 2 years, maybe longer. I do have my blog (The Panda Chronicles) which gets new posts 3 times a week and 200 or so subscribers (woo hoo break out the champagne) but I have not been successful doing the newsletter thing. Sigh...I think I need to go lie down for a while until the vapors pass. I won't be sending newsletters anytime soon, but I'm thinking that I might send out a prize-winning short story (and one of my favourite things I have written) that is otherwise only available via buying an anthology. Ever since I stopped being a dog blogger, I haven't kept up much of a blog at all. I put my writing news and very sporadic ramblings on My Writing Blog, and I guess similar (though unique!) information would go into the Tiny Letter that I just set up: Jennifer R. Donohue Writing News. I signed up for mailchimp and looked at the interface, then signed up for tinyletter and looked at the interface, and realized that I really really like the tinyletters that I receive, so that's the one I went for. I'll give my fellow Reiders an insider tidbit, though, I've got a reprint coming out tomorrow in Wizards in Space magazine! The story is called "The Wave" and was originally on my Patreon last year. It's about big wave surfing, VR, and old romance, plus a handy helping of bittersweet memories. And honestly, I'm surprised more of you didn't comment with links that I could click to sign up for. Come onnnn! Jennifer Donohue, I like your confirmation message. I do have a mailing list of close to 4000 names, but yikes when the time comes you mean I have to address each one individually? @Lynn - Most email services like MailChimp have a little piece of code you can insert to pull in the person's first name (assume it's been provided by the person). Congrats on having such a huge list! Argh! Typing on my phone. Can't make it link. Copy & paste? And I did find on Tiny Letter the little code bit to put in so you're addressing folks by name, so there's that. AND I have a snow day today. Maybe I'll get some writing done? Thanks, Gigi, for the info, it's taken me years. Now I just need to finish. 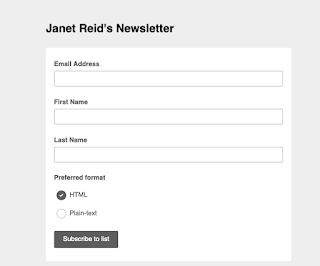 I finally set up a newsletter -- that doubles as a mailing list. The biggest issue for me is that mailChimp/US spam laws require a physical address! So. I got a PO Box that allows you to use a physical address. yay for MailChimp's capability of reading in the sign-up person's name.